My husband Eddie is a grad student, and a few times a year he attends various Alzheimer's and Dementia conferences. Sometimes, these conferences are in amazing places, and sometimes I get to travel with him. 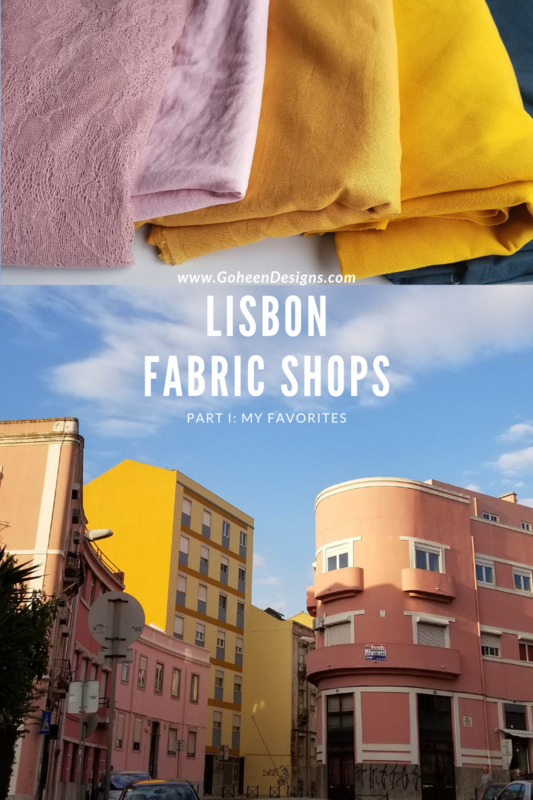 And at the beginning of this month, we went to Lisbon, Portugal! 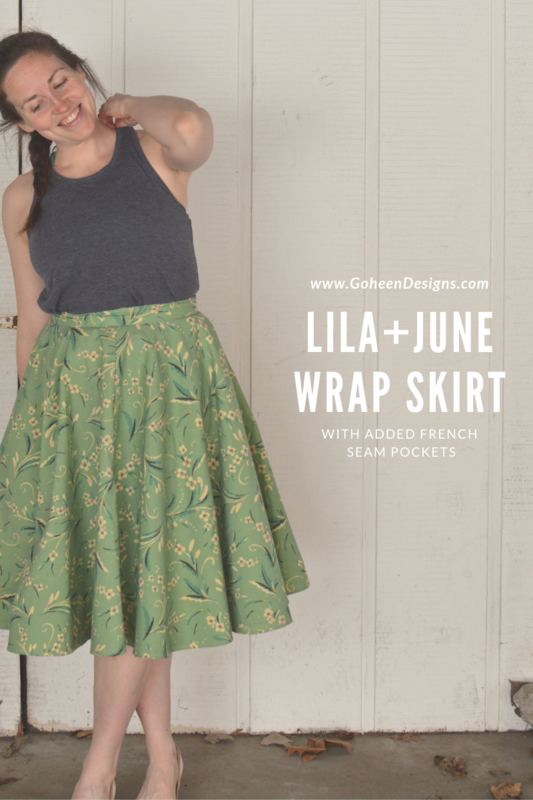 This project started with the fabric. I found this beautiful sweater knit fabric at a secondhand store called Mission 27 here in Indy. I couldn't pass it up. I've never sewn with a sweater knit before, but I figured I was past due. 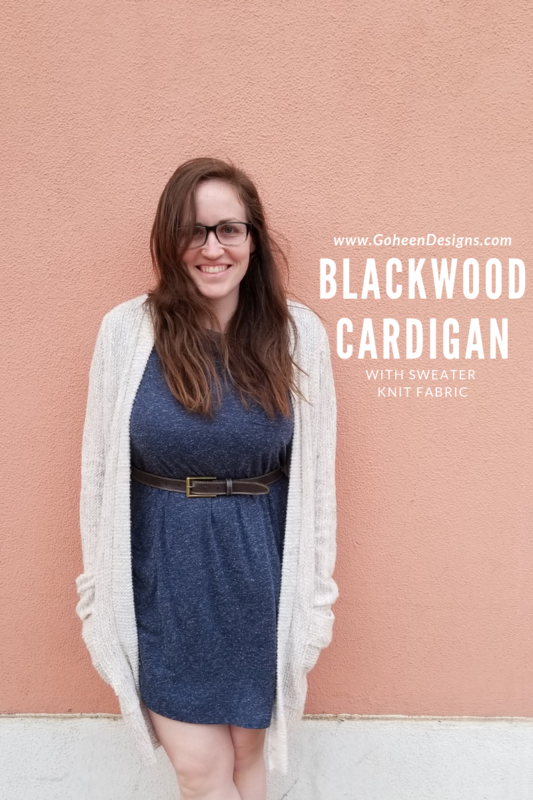 Sweaters are staples in my wardrobe because I really like having the freedom to put on and take off layers depending on my ever changing temperature. 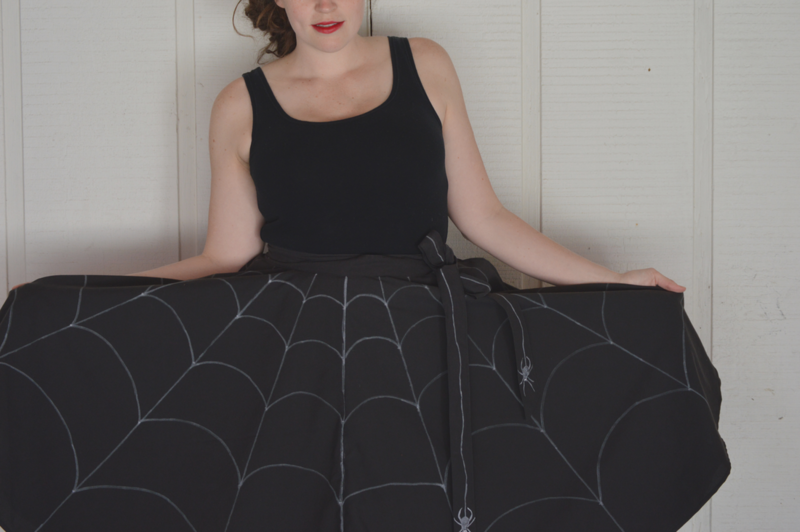 Last October, I made myself a spider web costume using the Lila+June free wrap skirt pattern. I loved the skirt so much that I decided I needed a non Halloween version in my closet. 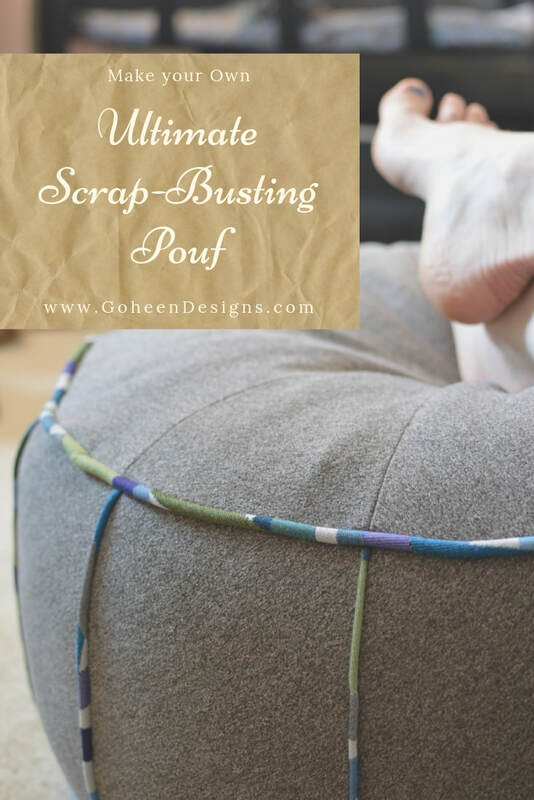 This scrappy pouf pattern is a freebie from Closet Case Files, and one of my #makenine projects for 2019. This really was an ultimate scrap buster. 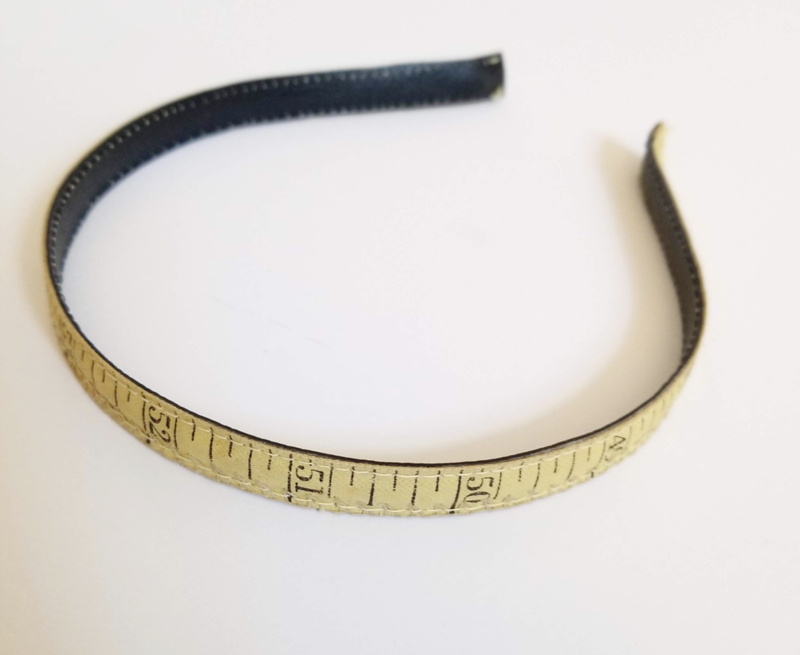 The grey outer fabric is scrap, sewn with the scrap cording wrapped in scrap bias tape, and it opens with a scrap zipper. 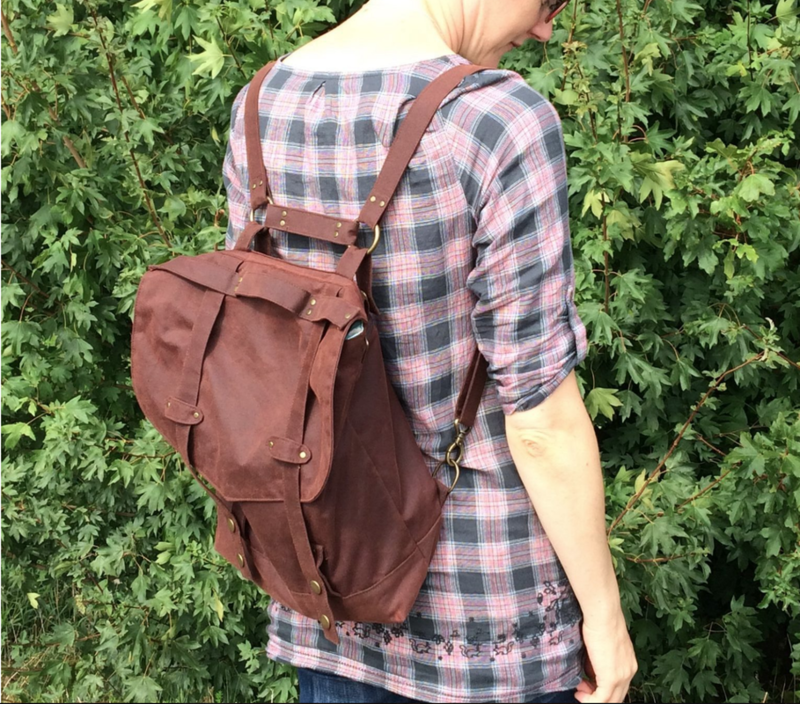 Then on the inside, I made a bag from scraps with a scrap drawstring closure. And then of course the entire thing is completely filled with scraps!!! 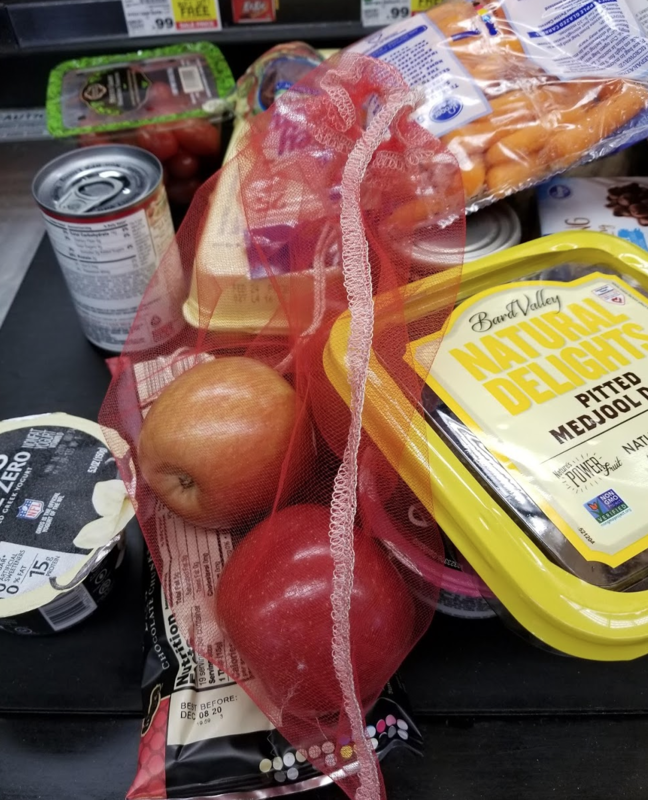 When I go grocery shopping, I bring my own bags so that I don't have to use the plastic ones. But in the produce section, I still use the plastic bags to hold my fruits and veggies. And every time I do, I think to myself that I should just make some bags of my own to use instead of the plastic ones. Because it seems like such a waste! After a chaotic holiday season of sewing like mad to keep all my stores in stock, I needed a little selfish sewing break before getting started on all my tax paperwork. Sometimes I need to do a quick project that is easily done in one sitting. 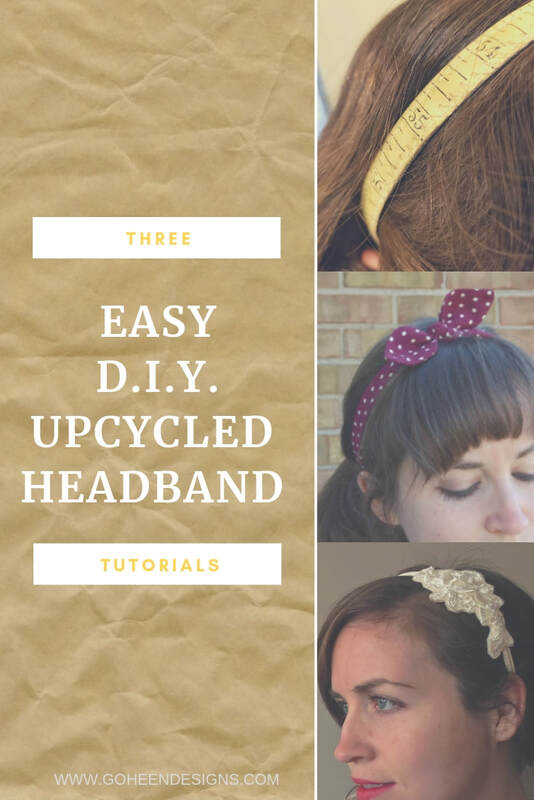 And headbands make a great quick sew! Of course, when you are wrangling a 6 month old who is constantly getting in to everything, nothing is ever really done in one sitting. 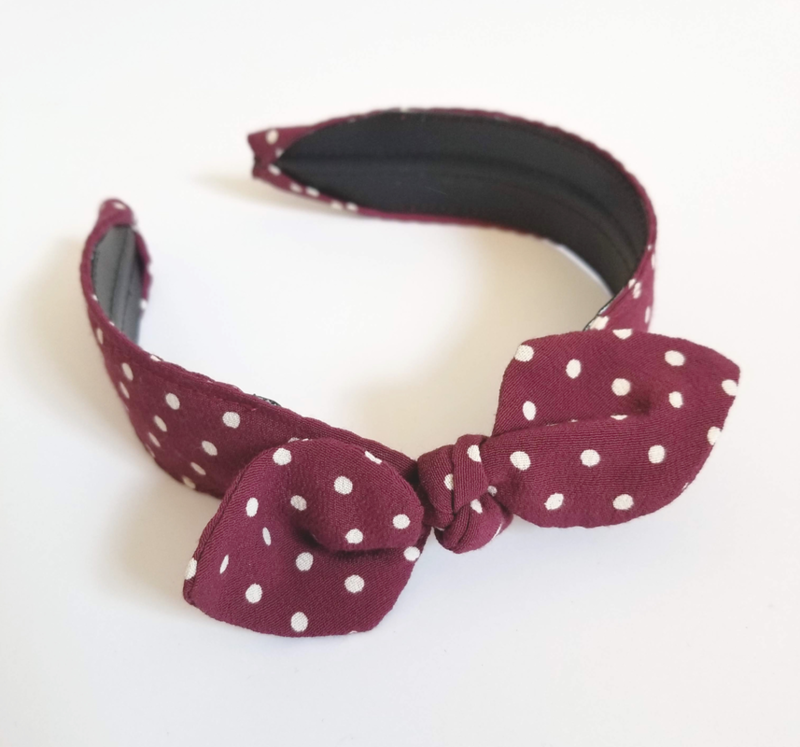 But headbands are pretty straight forward, even if you keep getting interrupted by your kid trying to bang his head into all the furniture. 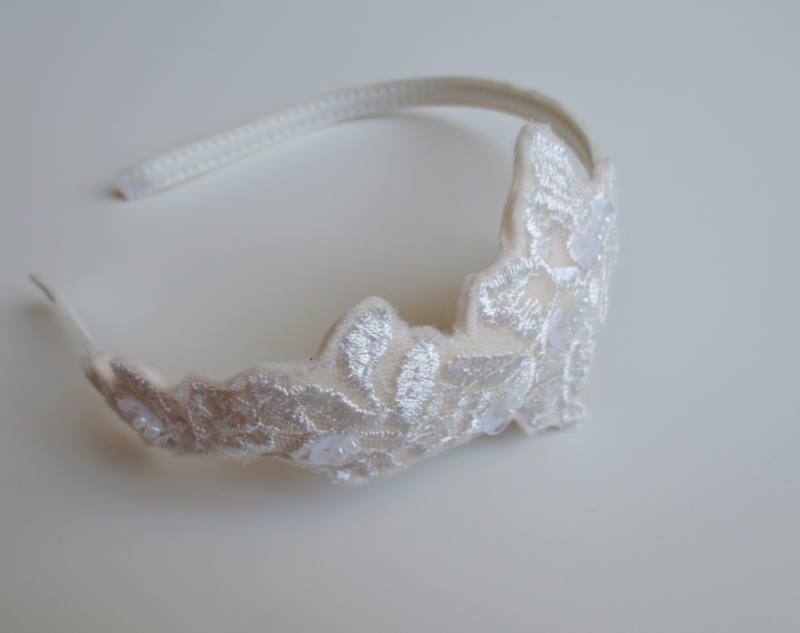 Here are the three headbands that I cranked out: the white lace headband, the modified retro top knot headband, and (my favorite:) the vintage measuring tape headband! For those of you who are new around here, I live in Indiana. And I love where I live. Soooo I tend to create a lot of fun little projects that use the shape of Indiana. 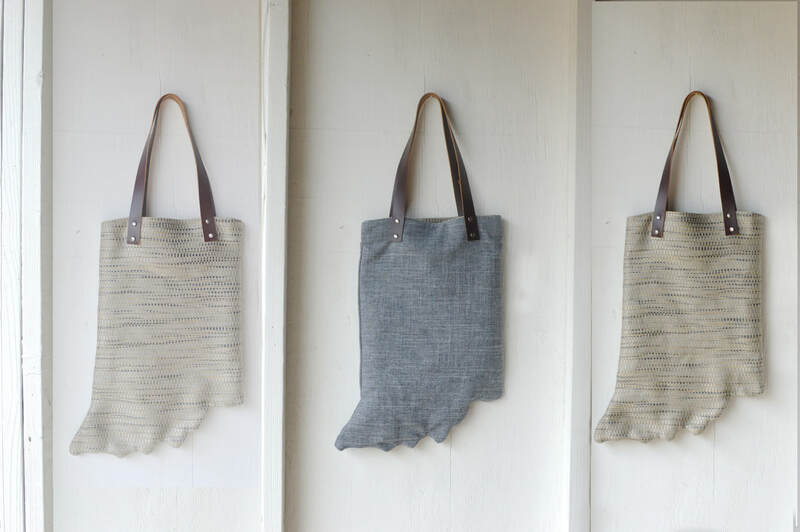 And I recently realized that Indiana makes a perfect tote bag shape! For those of you who are NOT new around here, this newest creation will come as no surprise. I'll admit, I am slightly obsessed.